Will NFC survive Apple’s iPhone 5 decision? 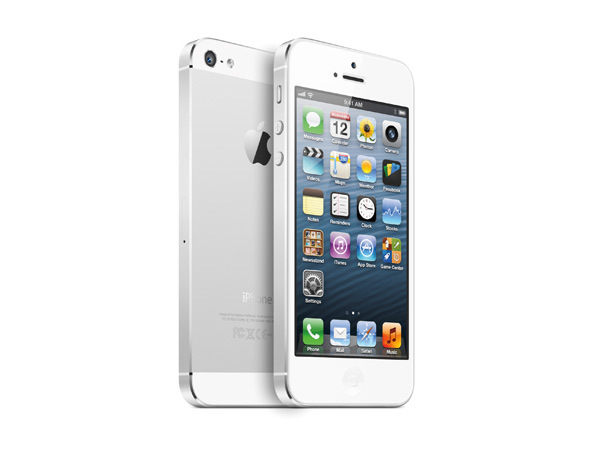 Well, September has been another big month for mobile technology with the big release of the new Apple iPhone 5. After months of rumours about what it would and wouldn’t contain, it all became clear on the 12th with the Big Launch event and more so on the 21st when the iPhone 5 actually went on sale and people could wait in line again to try it out for themselves. Except for the new iOS 6 Apple Maps application replacing Google Maps, the feedback on the phone and iOS 6 has largely been very positive (and maps will definitely get better, Google has had a 7 year head start in mapping). It was very interesting that Apple chose not to release NFC (Near Field Communication for mobile payments) with this version of the iPhone (see this post for more on this). With the sheer number of patents Apple has that rely on NFC for payments, for shopping applications and for data transfer, you would have to believe that Apple have chosen to wait and see rather than completely abandon the technology. It will also have something to do with the fact that in the USA, up until now, there hasn’t been much of a mandated push to replace the existing mag stripe payment terminals in millions of retail outlets, so there just wasn’t the critical mass of terminals capable of reading the NFC chip out in the stores. However faced with increased fraud risks, the Credit Card companies have now started the push for EMV (Chip & Pin) in the US as well – a little later than the rest of the world, but still, it’s the US – the biggest market. Most of these new EMV payment terminals will also come with Contactless readers as well which are capable of reading the NFC chip. 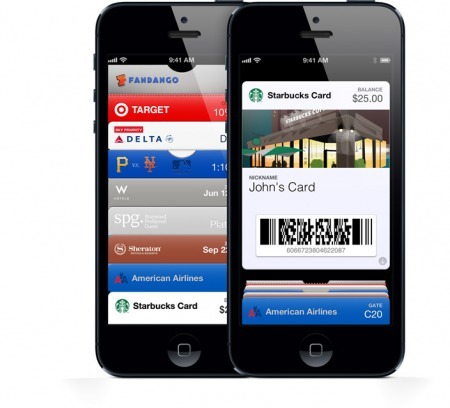 Apple has also just released their Passbook app in iOS 6 which creates a wallet on the phone to store Discount Coupons, Loyalty Cards, Gift Cards, Airline boarding passes and Concert Tickets – anything that has a barcode or 2D QR Code that can be scanned at Point of Sale. Apple would also be adopting the wait and see attitude to Passbook, given that app developers now have to update their apps to support the new features and capabilities of Passbook. However early adopters in retail in the USA include Sephora with more than 20,000 downloads of their “Beauty Insider” card only 2 days after iOS 6 was launched (see here for the Sephora link), and Starbucks, who will add support for their Starbucks Card by the end of this month. Apple will be waiting to see how various retailers choose to support Passbook before inevitably adding mobile payment support to Passbook. This will give others the opportunity to get a bit of a head start in mobile payments and test the US waters. Google has already made good progress with Version 2 of the Google Wallet, now with multiple Credit Card support and a number of iOS Passbook-like features supporting Coupons and Loyalty Cards but still relying on the phones NFC capability for payment. PayPal Here for payments at Point of Sale is starting to gain traction with major retailers after Home Depot, Abercrombie & Fitch, JC Penney, Foot Locker, Office Depot, Toys R Us and others joined up, not requiring NFC for payment. Square’s “Pay with Square” app allows for payment at selected retailers with the Square POS app to pay by just saying their name (or in Starbucks by scanning a barcode) and earning rewards. On the merchant side, PayPal, Square, iZettle and now Groupon have all come out with dongles that plug into the phones audio socket and accept card swipes for payment – with new entrants appearing in this space every second week. What is really required however, is the security offered by EMV and Contactless payments. That is where the traditional payment terminal manufacturers like Ingenico and Verifone have come out with secure payment add-on devices supporting EMV that work with the iPhone and iPad for a true pay anywhere capability. Finally, the key benefit of NFC that seems to have been overlooked by the people who have prematurely announced that it is dead, is that it will still ride on the back of the existing payments infrastructure (networks, terminals, systems) that have been put in place over the last 30 years by the banks, credit card companies and payment networks. However, with over 435 Million (that’s right 435 Million) iTunes user accounts globally all with payment card details, Apple still holds a huge trump card in one click mobile payments. Still betting it will be with NFC and it will make use of Passbook. It is now all about the timing. In May Sapient Nitro posted a great Infographic on Mobile Payments – The Future of Money and Mobile Payments here. With all of the talk recently on Mobile Payments with the launch of the iPhone 5, I thought it was worth posting again here. In the mobile payment race, driving people to transact through one app might not be enough. LevelUp is banking that merchants are interested in having their own branded apps that can still take advantage of LevelUp’s payment and loyalty infrastructure. So it’s creating a white label tool for bigger businesses to integrate LevelUp into their own apps. Businesses will be able to integrate a new LevelUp SDK in coming months into their existing apps. Or they’ll be able to turn to LevelUp, which can build them a custom app powered by LevelUp in 8-12 weeks. LevelUp has been signing up businesses including Sweetgreen, a small chain of restaurants in the Washington DC area. Sweetgreen had been looking to join LevelUp’s payment network but wanted to have its own app for users to download. The “point of sale” is now everywhere. A long, early Saturday flight home highlighted the end of our Mobilize 2012 event, giving me plenty of time to digest all of the salient points made by our speakers and panelists. Many of these spoke to not only the current state of mobile, but the future too. And that future is fast approaching as we’re watching improvements in mobile broadband networks, better software tools, smarter app discovery engines, and hardware cycles that are revving faster than ever. So much for an ACCC and Senator Stephen Conroy’s Parliamentary Enquiry in Australia about technology companies differential pricing. Apple has done it again – blatant price gouging. We may get to buy the iPhone 5 earlier than anyone else on September 21st, but we will all have to pay more. Over $150 more to be exact – even based on a generous AU$1.00 = US$1.00 exchange rates. Apple has released unlocked iPhone 5 pricing in the US which start at US$649 for 16GB (selling for AU$799 in Australia), US$749 for 32GB (AU$899) and US$849 for the 64GB model (AU$999). So, if you have a friend or contact in the US, get them to buy you one there and ship it here and give the Australian Apple store a miss – you will save yourself over $100 after shipping (and paying GST, if you had to). Well, its over. The long awaited launch of the Apple iPhone 5 has happened and just about everything that had been rumoured was officially released by Apple. The iPhone 5 comes with a taller 4″ screen, 20% lighter and thinner, aluminium back, smaller 8 pin digital connector, high speed 4G LTE network support, faster dual core A6 processor and new and improved earbuds. Pretty much everything had been leaked before the launch so none of these features were much of a surprise. However, the one area, that I was convinced Apple would come out with a real game changer was to include the Near Field Communication (NFC) chip and link the new iOS 6 Passbook application with mobile payments using NFC. I was wrong! They didn’t. Apple VP Phil Schiller today came out with a weak statement that “Passbook does the kind of things that customers need today“. I don’t think so! Passbook will be great for Loyalty Cards, Gift Cards, Airline and concert tickets – anything that has a 2D barcode to scan – but that’s nowhere near mobile payments. Apple have really missed a golden opportunity to help shape the mobile payments market and take a leadership position as they did with music and iTunes. Today Apple announced that they have 435 Million active iTunes accounts – all with current Credit Card and payment details, allowing one touch payment for iOS apps and even purchasing Apple products in selected Apple Stores. A huge number of accounts far more than Ebay / PayPal, Amazon or Google, and a great platform for payments. NFC is not new technology, its been around since in 2004. RFID chips have been around far longer and are out there in countless million contactless payment cards from MasterCard (PayPass) and Visa (PayWave) – already in use in contactless payments. Apple has countless patents which include NFC including innovative patents which have the antenna imbedded in the front touch screen, and a number of patents around shopping lists and shopping applications. So you have to believe that NFC still has to be coming from Apple. Later. But why wait for at least another year until the iPhone 6? Samsung, RIM, HTC, LG and Nokia now all have phones with NFC capabilities and will be well supported with Android and Windows 8 apps alongside the now far more flexible Google Wallet V2.0. Thanks to Visa, MasterCard and Amex contactless payment terminals are being rolled out at a fast pace. In Australia, they are becoming far more pervasive with major Supermarkets, fuel outlets, convenience stores, chemists, fast food chains providing contactless payment terminals at Point of Sale. Could it be that in the big US and UK markets, the contactless payment infrastructure in retail is not as pervasive? Could it be that there hasn’t been a huge push from customers for this functionality? Since when did Apple believe that customer demand should determine what great services and features they include in their products? Is it more about who owns the customer relationship and how Apple could monetise the payment transaction and take their cut? Maybe that is still what needs to be sorted out? Today the banks, credit card companies and payment networks are taking that significant cut – and they are not about to give any of that up without a fight. In any case Apple have missed a golden opportunity now in Mobile Payments to be the game changer and give NFC mobile payments the impetus that it needs to really get momentum. It will come, we will just have to wait longer and probably someone else will come to dominate that space. Who will that be? Google, PayPal, Square – it’s anyones guess.